Director of rugby Jon Wells has told Castleford Tigers fans that the club is looking to bring in two players to add to their squad. 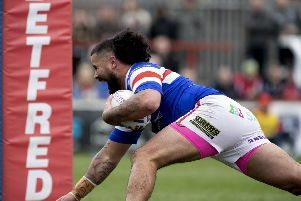 Castleford’s squad is becoming stretched by injuries and Wells has assured supporters that steps are in place to try to recruit a forward and an outside back. With three defeats in their last four matches after a promising start to the 2019 season the Tigers have hit difficulties and are looking for a boost in the form of new arrivals. 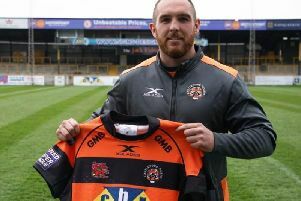 Wells told castlefordtigers.com: “I can confirm that the club are actively working on a number of tweaks which will include the probability of the arrival of new players. “As you will appreciate, this is a process which takes time and any additions need to be considered and not reactionary. We think we have a very good squad of players here at the Tigers – but we can always improve. “As it stands, we are actively looking to bring a forward and an outside back into the club. “The arrival of the forward is likely to happen very quickly, but the addition of another outside back will take a little more time. “As mentioned in ROAR, any key additions to the squad need to be right fit for the club in all of the aspects that we consider during our recruitment process.